Although radiofrequency (RF) energy reliably makes transmural lesions, it does have drawbacks. It can damage structures near the pulmonary veins, like the esophagus, or make tears or rips in the heart. In addition, traditional single point radiofrequency catheters require point-by-point ablation, which is time consuming, and if there is a gap in the lesion line afib could re-enter the heart. Multielectrode catheters, which have an array of electrodes, may address some of these drawbacks. However, the clinical data on multielectrode catheters is limited, which means that complications specific to these catheters may not be fully known or understood. Here are the two main multielectrode radiofrequency catheters. Pulmonary Vein Ablation Catheter (PVAC) is circular-shaped and is used for pulmonary vein isolation as it surrounds the pulmonary veins like a lasso. It is both a mapping catheter and an ablation catheter. After it ablates tissue, it can verify that the pulmonary veins have been isolated, meaning that there aren't any gaps in the lesion lines. Multi-Array Septal Catheter (MASC) is propeller-shaped and is used to ablate tissue along the septum, which is the wall that separates the left and right atria. Multi-Array Ablation Catheter (MAAC) looks like a hand-mixer beater and is used for more sophisticated ablations, such as complex fractionated electrograms (CFAE). CFAE ablation is sometimes performed on patients with persistent and long-standing persistent afib. These Ablation Frontiers catheters can deliver both unipolar and bipolar radiofrequency energy, which is sometimes called "phased RF." Bipolar simply means that the radiofrequency energy is transmitted from two places—in this case, two electrodes—to a single target. Bipolar radiofrequency energy generates lower power and creates lesions that are less deep than unipolar, but since bipolar radiofrequency energy is sent to different sides of the tissue (top and bottom), high temperatures aren't needed. Since there are many radiofrequency electrodes on the Ablation Frontiers catheters, doctors can use bipolar radiofrequency energy in half, some, or none of the electrodes, depending on the area of the heart being ablated. This may help achieve transmurality while reducing complications. Bipolar radiofrequency energy is usually applied to thicker tissue in the heart whereas unipolar can be used on thinner tissue, such as that found at the septum. In addition, the Ablation Frontiers catheters cycle the radiofrequency energy on and off (called duty-cycled RF), which allows tissue to cool and may help prevent char formation. This is a different approach from single point irrigated radiofrequency catheters, which use saline solution to cool the tissue. A study in the Netherlands of the Efficacy of Multi-electrode Duty-cycled Radiofrequency Ablation used the Pulmonary Vein Ablation Catheter to treat 90 patients with paroxysmal atrial fibrillation and 12 patients with persistent afib. The Pulmonary Vein Ablation Catheter was able to isolate 95% of pulmonary veins at the time of the procedure. In addition, the procedures were fast, and paroxysmal afib patients were only exposed to an average of 17 minutes of radiation from the fluoroscopy that helped the doctors guide catheter placement. During follow up visits, 11 patients with paroxysmal afib had reconnection of the pulmonary veins because of gaps in the original lesion lines. These patients underwent a second ablation using a single point radiofrequency catheter. At about 12 months, 64.4% of all paroxysmal patients were free from afib and off antiarrhythmic drugs. There was no charring, and no damage to the phrenic nerve or esophagus. The success rate was lower than what is reported in many studies, which may be because the study's follow up monitoring was very rigorous. Patients not only had 24-48 hour Holter monitoring at three, six, and 12 months, but they also had a seven-day afib "alarm" at six months to record asymptomatic afib episodes. This means that all afib events were captured, not just the ones that patients felt (symptomatic episodes). Not all studies have such active monitoring. 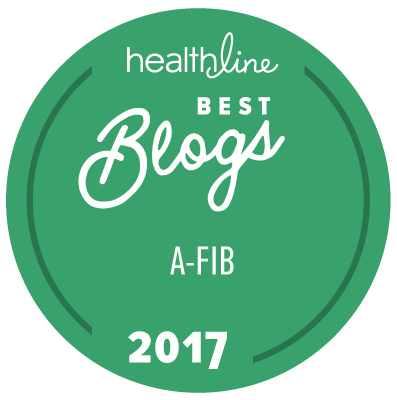 In addition, success in this study was defined as patients being free from afib episodes and off antiarrhythmic medication. If patients who continued to take antiarrhythmic medication are included, the success rate was almost 88% versus the reported rate of 64.4%. In this study, patients with persistent atrial fibrillation did not fare as well as those with paroxysmal afib. Half of persistent patients (six people) had afib episodes during follow up visits, and four of these underwent a second procedure. Even with a second procedure, none of these patients remained in normal sinus rhythm without antiarrhythmic drugs. The 50% success rate underscores how difficult it is to treat persistent afib with catheter ablation. To find out why persistent AF is so challenging to treat, see Can Catheter Ablation Successfully Treat Persistent AF. In a new finding that is causing concern among doctors, the Pulmonary Vein Ablation Catheter appears more likely than others to cause cerebral emboli, blood clots that can block the flow of blood and oxygen into the brain. In a multi-center study in Europe, 74 patients received pulmonary vein isolation by one of the following catheters: the Pulmonary Vein Ablation Catheter, a traditional irrigated radiofrequency catheter, or the Arctic Front Cardiac Cryoablation balloon catheter. None of the patients had any neurological deficits, such as problems with speech or walking, after their procedures. However, 37.5% of patients who had a Pulmonary Vein Ablation Catheter procedure had new cerebral emboli show up on magnetic resonance imaging (MRI) scans taken after the procedure. Conversely, only 7.4% of patients who had traditional irrigated radiofrequency ablation and only 4.3% of patients who had cryoablation had new cerebral emboli on their post-procedure MRI scans.1 This study had planned to enroll about 180 patients. However, when early results showed that a high percentage of patients treated by the Pulmonary Vein Ablation Catheter had new cerebral emboli, enrollment in the study was stopped. The HD Mesh Catheter (C.R. Bard) has 36 electrodes positioned in four different quadrants along a balloon-shaped wire mesh structure. The HD Mesh Catheter appears to conform well to the pulmonary vein ostium (opening). It may also reduce the risk of clot formation because it doesn't obstruct blood flow into the pulmonary veins. Radiofrequency energy can be delivered to all the electrodes, meaning it can function like balloon catheters, or can be transmitted to a single quadrant of electrodes. Radiofrequency energy is "pulsed" through half of the electrodes every five milliseconds, which could reduce certain complications seen with unipolar radiofrequency, such as charring. The HD Mesh Catheter has a mapping ability so that it can also confirm that pulmonary veins have been isolated. Dr. Moussa Mansour, of Massachusetts General Hospital, discussed results from five studies (102 patients) on the HD Mesh Catheter at the Heart Rhythm Society meeting. The success rate for paroxysmal patients averaged 64% at 12 months in two of the studies. These studies defined success as freedom from atrial fibrillation and ability to discontinue antiarrhythmic medication. However, the HD Mesh Catheter had meager success treating patients with persistent afib, as only 42% were free from atrial fibrillation at three months, and it's likely that even fewer remained free of afib at 12 months. That's because the pulmonary veins and other ablated areas can "reconnect" several months after ablation, allowing atrial fibrillation to resume. The HD Mesh Catheter has been approved in Europe and other parts of the world. The manufacturer, C.R. Bard, is redesigning certain aspects of the catheter and expects to begin a clinical trial in the U.S. in 2011. To learn about other advancements in catheter design, see Contact Force Sensing Radiofrequency Catheters and Balloon Catheters. 1 Siklody, Claudia H., et al, "Incidence of Asymptomatic Intracranial Embolic Events After Pulmonary Vein Isolation: Comparison of Different Atrial Fibrillation Ablation Technologies in a Multicenter Study," http://content.onlinejacc.org/cgi/content/short/j.jacc.2011.04.010v1, Journal of the American College of Cardiology, 2011, 58: 681-688. 2 Vermeer, S., et al, "Silent Brain Infarcts and the Risk of Dementia and Cognitive Decline," http://www.nejm.org/doi/full/10.1056/NEJMoa022066, The New England Journal of Medicine, 2003, 348: 1215-1222.